Will Red Wings fans finally have their wish come true? From the very moment that Steve Yzerman announced that he was stepping down as the general manager of the Tampa Bay Lightning, hockey fans, particularly Detroit Red Wings fans, have been waiting for him to return to Hockey Town. All signs seem to point to a return to the Red Wings organization for Yzerman but, because he’s technically under contract with the Lightning until the end of the season, he has steadfastly denied any reports linking him to Detroit. For what it’s worth, long-time Red Wings GM Ken Holland signed a two year contract extension just last Spring. 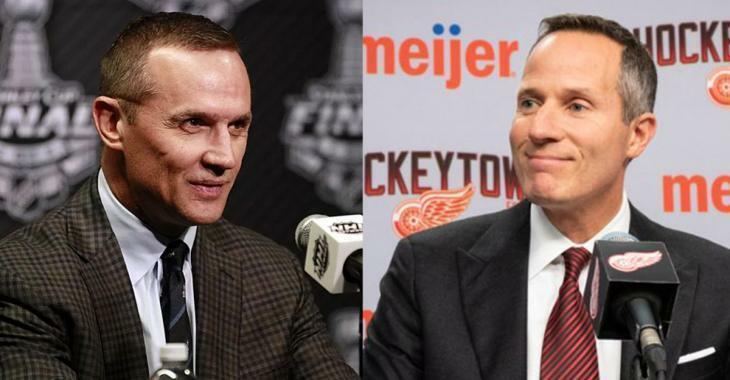 A popular theory amongst Wings fans though is that Yzerman will return to Detroit as the team’s GM and Holland will receive a promotion to team President. According to a report from Elliotte Friedman via Anthony Fenech of the Detroit Free Press, Red Wings owner Christ Ilitch made some interesting remarks concerning Yzerman joining the team’s front office. While the hockey world may have been shocked when Yzerman announced he was stepping down from the Lightning, I don’t think you’ll find many shocked fans when he announces his return to Detroit. Let’s be honest… this is the worst kept secret in hockey.